The Family Enrichment Center, Inc. (FEC) is a private, faith-based, not-for-profit child-placing agency founded by the College Hill Church of God in Christ in 1992. Over the years, the agency has had a considerable impact on the lives of economically disadvantaged and minority families who may otherwise feel threatened by larger public agencies. 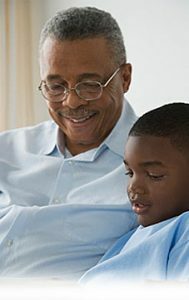 Initially created in response to a critical shortage of African American foster homes, the Family Enrichment Center provides the community with a family-centered, friendly, compassionate, neighborhood-based alternative to public and traditional social services. As the only licensed minority-owned and operated child-placing agency in the southeastern United States, FEC provides care for approximately 250-350 children on a monthly basis. Through public-private partnerships, the agency has been able to maximize the utilization of limited resources, while maintaining high levels of professionalism and quality services.